Indiana Farmer’s Coliseum-Indianapolis, IN: While driving back to Michigan last weekend, we decided to stop in Indy for fuel. I mean, Fuel. 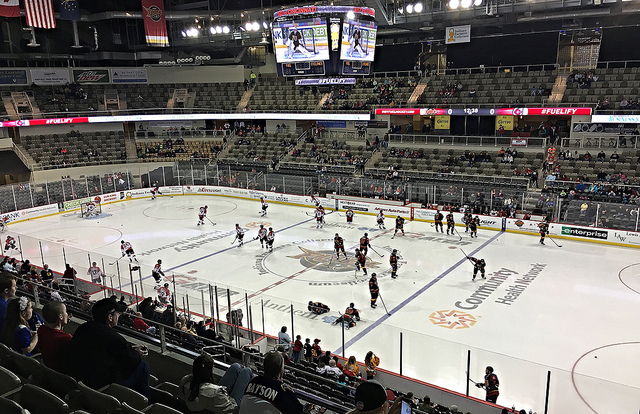 Minor league hockey, like baseball, is a great family friendly affordable fun, so we were definitely lucky to catch this East Coast Hockey League game. 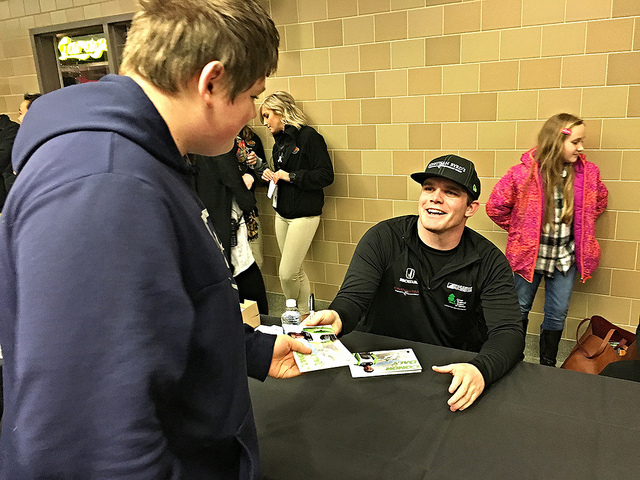 It was Racing Night, and Trevor was able to meet Indy car driver Conor Daly before the game. 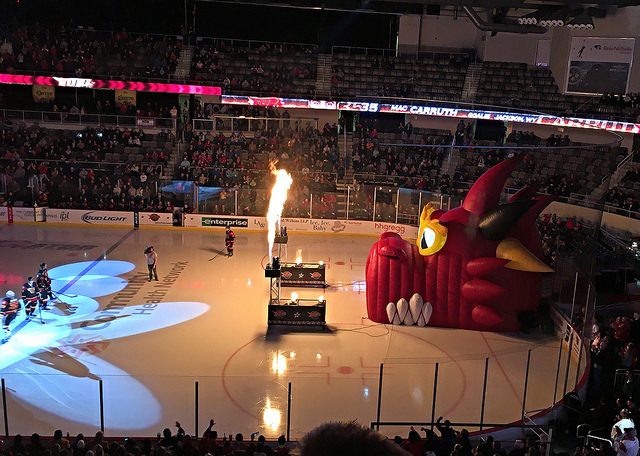 The Indiana Farmer’s Coliseum is a nice venue to watch a game, and I have to admit, the Fuel entrance was pretty amazing. 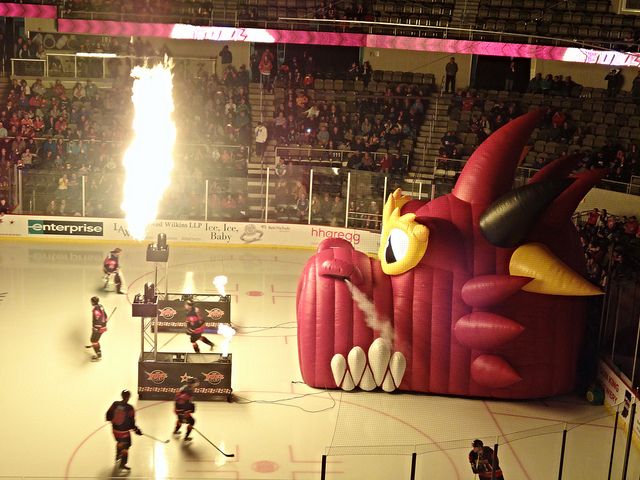 The game itself was fun, and they had a few fun things going on between periods. 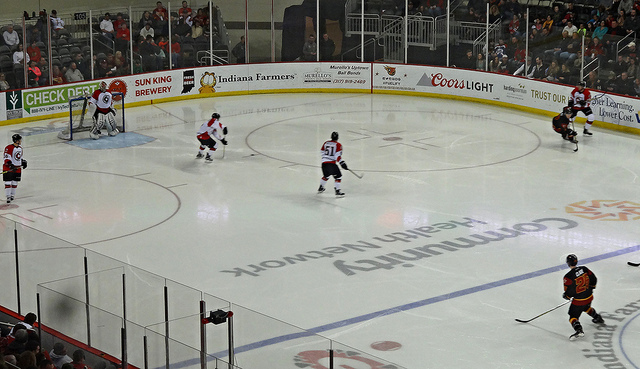 The visiting Cyclones took it to the home team, though. 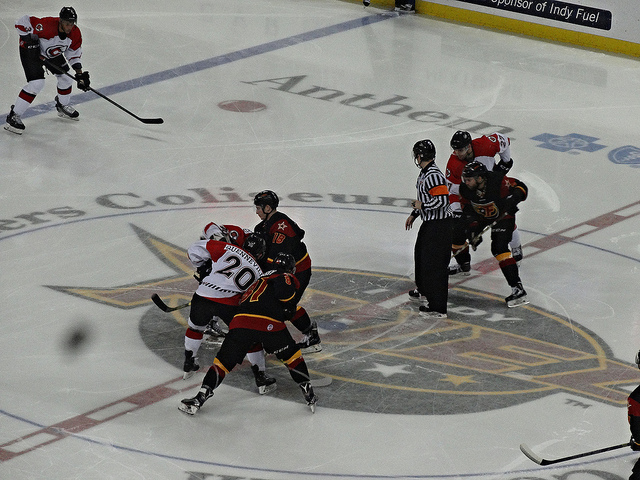 Sam Jardine scored the lone goal for the Fuel in the loss. 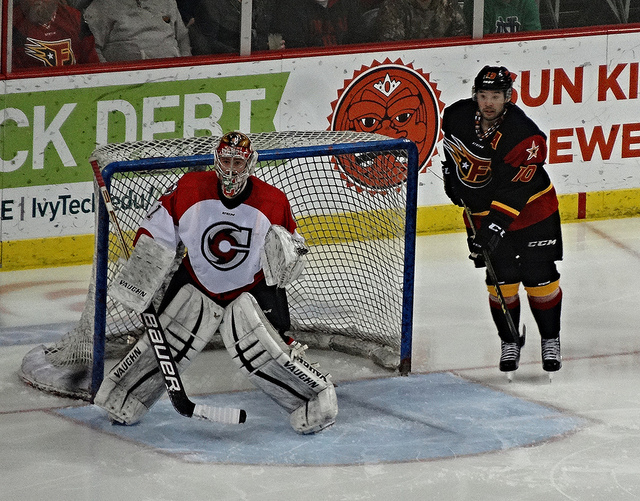 The number one star of the game was Cincy goalie Andy Iles with 30 saves. This is definitely a fun place to stop, and I’m sure we’ll be using Indy as a resting point many times on our trips between Kentucky and Michigan. 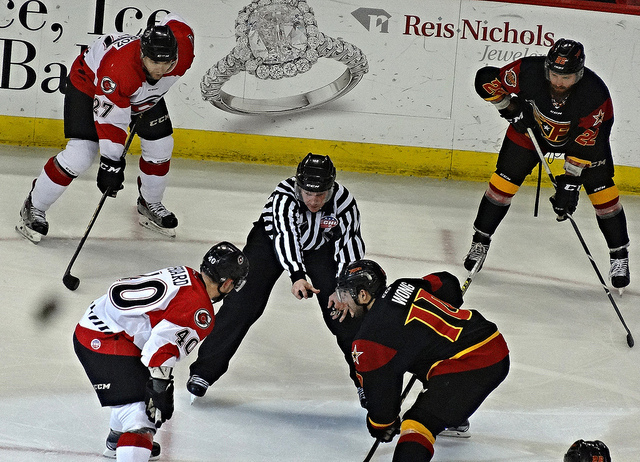 Final: Fuel 1, Cyclones 5.